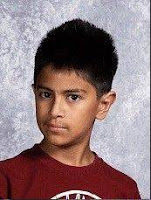 Summer vacation had just started for 11 year old Jose Antonio Zamudio who was killed by the driver of a pickup truck yesterday as he rode his bike near his home in Round Lake Beach, according to the Daily Herald. He would have been an eighth grader at Round Lake Middle School located less than half a mile from the crash scene. Teachers interviewed by the Herald fondly remembered Jose as a good student who was well-liked by everyone. The incident occurred at the intersection of Lotus Drive and Rollins Road. (Click here to learn more about the crash.) Though the matter is still under investigation "a preliminary examination showed Zamudio died from massive head trauma," Lake County Coroner Artis Yancey told the Herald. 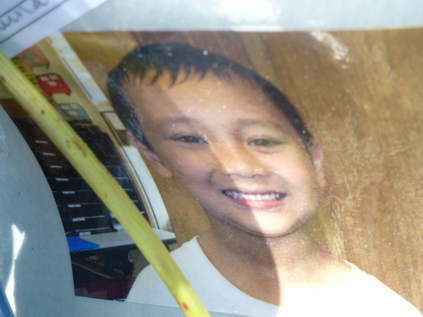 The news report stated that the boy was not wearing a helmet at the time of the crash. However, the speed the truck was traveling at the time of the crash has not been reported. It is not clear whether use of a helmet would have saved Jose's life. Neither state statute nor local ordinance required Jose to wear a helmet while riding his bike. A driver struck and killed an 11 year old boy as he rode his bicycle in Round Lake Beach yesterday evening, according to The Daily Herald. The incident occurred at around 6:30 p.m. at the intersection of North Lotus Drive and West Rollins Road, according to The Chicago Tribune. Reportedly, the boy was riding southbound on Lotus Drive, across Rollins when he was struck by the west traveling vehicle. Rollins Road in that location divides densely populated residential neighborhoods to the north and south. The intersection is home to several businesses, including a Dairy Queen, a Pizza Hut and a Family Video store. A short distance to the north of the intersection -- about 500 yards -- are located Indian Hills Elementary School, Round Lake Middle School and Shagbark Nature Preserve. The boy, whose name has not been released, was taken to Advocate Condell Medical Center after the crash where he was pronounced dead a short time later. The cause of the crash has not been reported, but the Major Crash Assistance Team of Lake County is assisting local police with an investigation, according to the Herald. The woman, Hanin Goma, who allegedly killed 8 year old Carter Vo with her vehicle as he rode his bicycle on a sidewalk in Skokie on Monday has been charged with felony DUI, according to The Chicago Tribune. She has also been charged with a misdemeanor count of driving under the influence of drugs. Read more about this incident by clicking here. UPDATE 12:31 P.M.: The Chicago Sun-Times reports that Goma admitting smoking pot just hours prior to the crash. Eight year old Carter Vo was riding his bicycle on the sidewalk after school on Monday afternoon when a car driven by a 23 year old Skokie woman jumped the curb and ran him down, killing him, according to the Skokie-Review. The incident occurred shortly before 4:30 p.m. near the intersection of Main Street and St. Louis Avenue. The driver was allegedly traveling southbound on St. Louis attempting to turn left onto westbound Main when she hit an eastbound vehicle. Southbound St. Louis is controlled by a stop sign. East and westbound traffic on Main is not required to stop. The collision reportedly caused the driver to lose control, careen onto the sidewalk nearby and hit Carter, carrying him and his bicycle several feet before crashing into a parked car and coming to a stop. The boy lived on the 4600 block of Madison Street in Skokie. He was dead at the scene. A child is in serious to critical condition after being struck by a bus in Humboldt Park this afternoon, according to The Chicago Tribune. 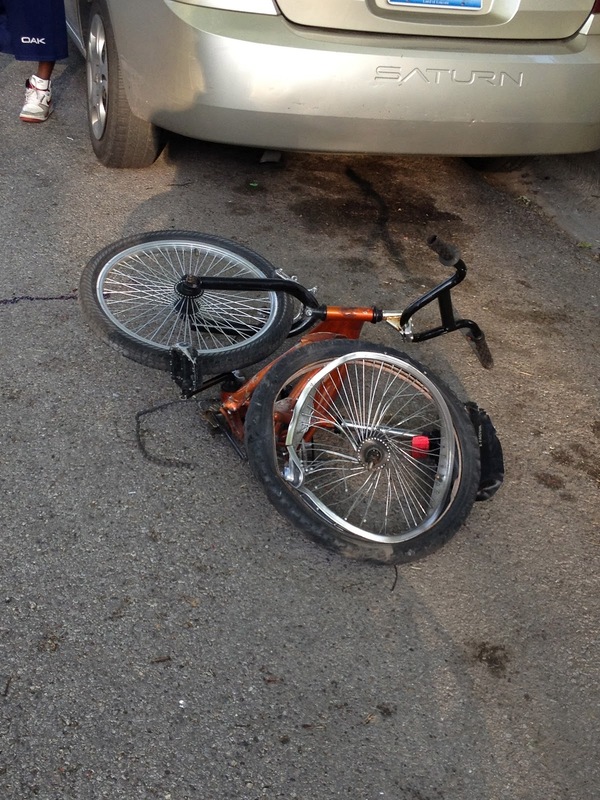 The child was riding in the 3200 block of West Hirsch Street at around 4:00 p.m. when hit. That section of street is close to the park, near Little Cubs Field. It has not yet been reported what sort of bus struck the child who has been taken by paramedics to Children's Memorial Hospital. A bill is making its way through the Illinois legislature that would ban most cell and smart phone use while driving statewide. Presently, communicating with another person -- whether by voice, text or email -- via cell phone while driving is banned in Chicago. The proposed state legislation, HB3972 introduced by Representative John D'Amico (D-Chicago), would go farther, banning any and all smart phone use while driving unless done by voice command. Presumably, "app" use would be banned, not just the composing of emails and texts. The legislation contains many qualifications and exceptions. For example, under the proposed law an "electronic communication device" would "not include a global positioning system or navigation system or a device that is physically or electronically integrated into the motor vehicle." (emphasis added). It is, therefore, not clear whether a driver would violate the law by using his or her smart phone to get directions, e.g. with Google Maps. Also, a driver may use "an electronic communication device by pressing a single button to initiate or terminate a voice communication." How a ticketing police officer could determine just how many buttons a driver has pressed while interacting with his or her phone is unclear. As with Chicago's cell phone ban, enforcement of a statewide ban would undoubtedly be challenging for law enforcement officers. Chicago's cell phone ban has been in effect for nearly 18 months now. Its effectiveness seems minimal. Riding my bike around the city on a daily basis, it seems today as ever that it is down right rare to see a driver not using his or her cell phone. Driving in the city is unpleasant. 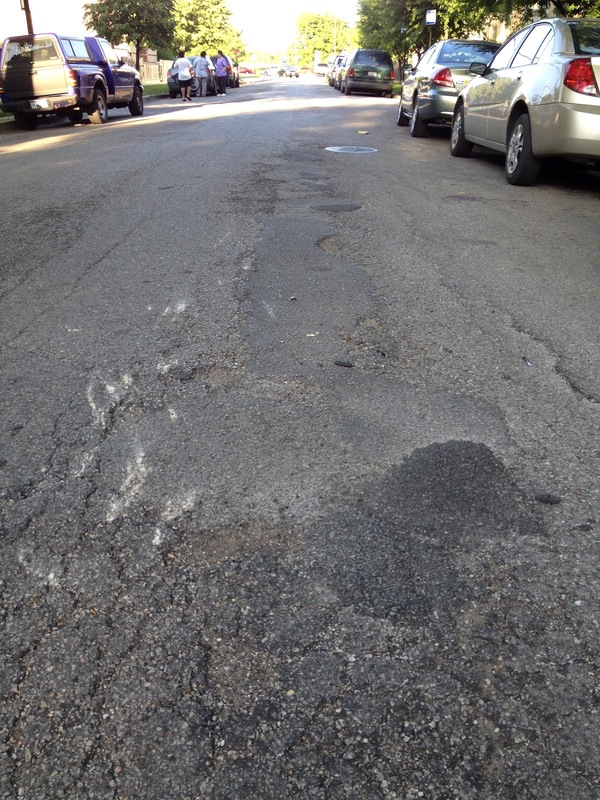 With traffic congestion and road maintenance constants, drive times are very unpredictable. At the same time, people are busy with work, school, kids. Cell phones help people get things done and stay in touch. On the other hand, it is easy not to get caught using one's phone in the car. So people do it and will continue to do it despite the law. The anti-texting, anti-smart phones laws are welcome because they send a message that using these devices while driving is not okay. Also, if a driver does injure someone while using their phone such laws provide lawyers like me with another arrow in the quiver when it comes to suing the driver for the damage done. Still, if we are serious about banning cell phone use while driving, legislation will have to come from the federal level requiring auto manufacturers to create a "lock-out" function which would block all cell phone signal while the engine is on. Riding in complete silence through Chicago with a few hundred fellow cyclists as the evening rush swirled around us amplified the urban biking experience. In our tight pack nothing could be heard except the gentle clicking of freewheels. Around us everything seemed louder than usual. Car horns sounded like explosions. Comments from onlookers seemed like they were spoken right into your ear. Families of fallen cyclists gathering at the ghost bikes at which we paid our respects seemed like people we knew. Last night's Ride Of Silence in honor of bicyclists killed or injured riding our city's streets offered a solemn reminder to those who participated of why we ride. We ride to be in tune, connected to our surroundings, the people, the traffic, the road, ourselves. Traveling without the metal and rubber encasement a car provides means everything is allowed into our personal space. Seeing the ghost bikes and the red arm bands worn by some riders reminded that death and injury sometimes invade. We ride nevertheless; to work, home to our children, because it's fun, without illusion and with honesty to ourselves. Below are some photos from last night's Chicago Ride Of Silence. The American Automobile Association (AAA) and the League of American Bicyclists have teamed up to produce a series of bicycle safety videos. The short films emphasize the "Share The Road" philosophy and offer tips on how cyclists and drivers can do so. I've watched three of the videos (see below). They're ok. There is nothing particularly new or compelling about the information provided or the production approach. If I have one complaint it is that they emphasize cycling as a recreation activity, showing helmeted children in school parking lots, lycra clad athletes and hybrid riders on bike paths. The videos emphasize that cyclists should wear helmets AT ALL TIMES! and should don day-glow clothing to improve their chances of being seen by motorists. There is nothing wrong with this advice. But by reenforcing cycling as a recreational activity requiring protective gear and special clothing, the message that bicycles are valid transportation tools deserving of equal respect on the road gets watered-down or perhaps lost all together. The images in the videos encourage motorists to see bicycling as either a child's game or a frivolous activity. I would have rather seen folks commuting to work, moms carting kids and delivery riders on cargo bikes depicted. It would have been nice to see people just going about their ordinary lives on bikes. That would have sent a much stronger message. 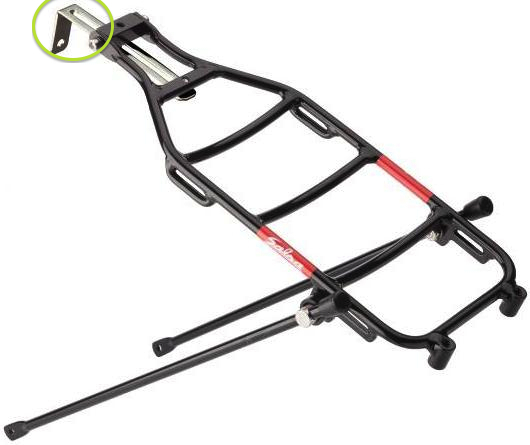 Salsa Cycles is recalling about 1,100 bicycle racks because they can break and cause riders to crash. Yesterday, the company, along with the U.S. Consumer Product Safety Commission, announced the recall of Salsa's "Minimalist" bicycle racks after receiving reports of breakage causing rider injuries. When mounted on the front of the bicycle, "The L-shaped mounting straps used to attach the bicycle rack to the front of the bicycle can break and cause the rack to fall while the bicycle is in use," according to a press release. Certainly a front rack loaded with panniers or perhaps a 12 pack that suddenly fails could result in a scary situation for the rider. The racks sold nationwide for about $80. If you have one of these racks on your bike stop using it and contact an authorized Salsa dealer for inspection, re-mounting or a refund. Who knows what goes on inside a dog's brain most of the time. However, I am reasonably certain of what that mush of canine gray matter says to the mound of fur, teeth and muscle that surrounds it when the eyes and nose sense something the dog wants: GET IT! Sometimes what the dog wants is a metal and rubber contraption zipping by with a lump of human meat planted on top of it. Whether by an actual bite or a crash caused by giving chase, dogs can and do cause serious injuries to bicyclists. In Illinois the owner of a dog, or any other animal, may be held liable for injuries it causes. In many instances it is not necessary to prove that the owner of the dog was in any way negligent to recover money damages. If a dog or other animal, without provocation, attacks, attempts to attack, or injures any person who is peaceably conducting himself or herself in any place where he or she may lawfully be, the owner of such dog or other animal is liable in civil damages to such person for the full amount of the injury proximately caused thereby. 510 ILCS 5/15. In plain language if you are injured by a dog or because of a dog, e.g. because you were chased, you may receive compensation from the dog's owner so long as you did not provoke the dog and you were peaceably riding in a place you were permitted to be. Under those circumstances it is not necessary to demonstrate that the owner knew or should have known that the dog was dangerous or a had a propensity to bite or chase bicyclists. It is enough to simply be injured by a dog to take advantage of the protections provided by our state's Animal Control Act. Be aware of your surroundings. Look around you periodically and do not ride with headphones. This may help you become aware of a dog who may give chase with enough lead time to up your pace and get away quicker and easier. Know your route. When possible pick a route you know is free of dogs and other animals that may tend to roam free. Also, when out mountain biking in a rural area stay on public use paths and try to avoid crossing onto private property that may harbor a territorial canine. Ride in a group. A dog may be less inclined to chase a group of riders. Besides in a group you don't need to be faster than the dog. You just need to be faster than the slowest rider. First, get yourself out of danger. Try to get away from the animal to avoid further injury. If you have a water bottle with you try squirting the dog to get it to leave you alone. Call for help. One of the most important pieces of safety equipment to can have with you on a ride is a mobile phone. Use it to call 911. Take photos. While you have your phone out, use its camera to photograph the dog, so it can be identified later, and your surroundings. If possible, also photograph your bike and your injuries. When the police arrive make sure they fill out an accident report. Don't let the police talk you out of doing so. You always want a police report. Make the responding officer aware of any possible witnesses to the incident. Contact a lawyer to discuss the possibility of bringing a case against the dog's owner. A pinball. That's how a 25 year old bicyclist must have felt after being doored then hit by a passing car last weekend. The incident occurred at around 5:30 p.m. on April 28th. The bicyclist, working as a food delivery rider at the time, was pedaling in the dedicated bicycle lane southbound near 2048 North Halsted when the driver's side door of a 2003 Infiniti parked along the curb opened in front of him. Instinctively taking evasive action, he grabbed his brakes and steered left. The maneuver wasn't enough however to avoid striking the door with his right hand. Off balance he was pushed into southbound traffic where he was struck by the side of a passing car. That second impact send him sprawling into the street. The passing car did not stop. After waiting for police to arrive and gathering contact information of the driver that doored him, banged up, bruised and with searing pain in his ribs, the bicyclist found his way to Illinois Masonic Medical Center where he received treatment. My law firm is representing the bicyclist against the the Infiniti driver who started the cascade of events that caused his injuries.